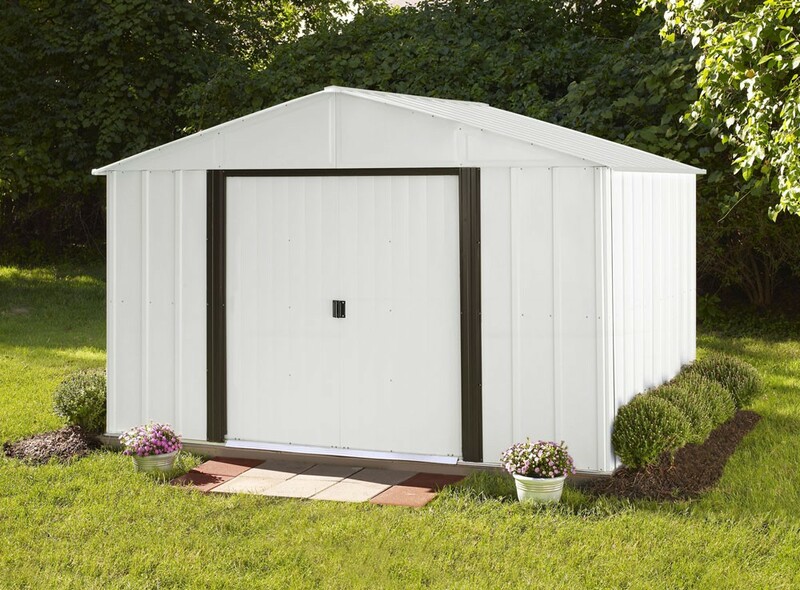 Attractive, high gable-styled roof and a 62 in. wall height makes the Arlington a perfect place to store lawn tools, garden equipment and other seasonal items. A baked-on enamel finish assures a quality storage solution year after year.